We are a backwards family and one of the many weird things we like to do, although I have been told many do this too, is eat breakfast dishes for dinner. Whether it’s scrambled eggs on toast, fried eggs & sausages, or even a bowl of cereal, if I am home alone and don’t want to cook. So it inspired me to make a more suitable dinner meal using eggs. My mother always made us scrambled eggs with American country sausage cooked together similar to this which is where I got my idea from. Roll tortilla shut and enjoy! 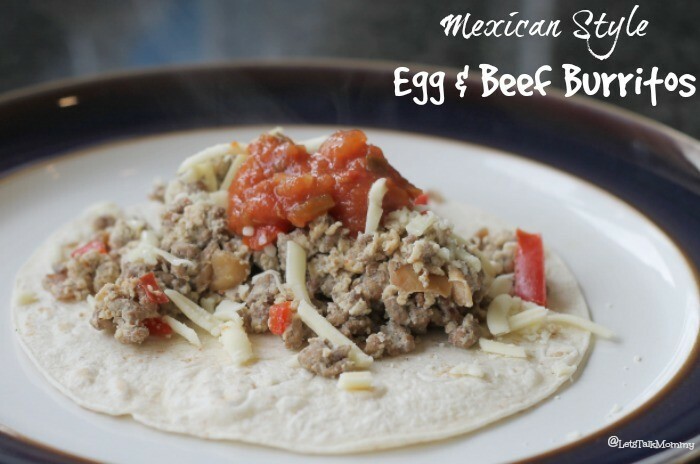 Egg and beef mixture can be put on toast or ate separately as alternatives. You can eat it numerous ways. Try putting it on toast or cut out the carbs, like Mr P who loves to eat it in a bowl as is. Since, Buba can’t eat eggs due to allergies, I scoop out a cup of the cooked beef, onion and peppers before I add the eggs and mix it with rice for him which he loves. Don’t like spicy use mild salsa or just freshly diced tomatoes on top! Try it and let me know what you think! Thank you Alice. Glad you like it. It’s so yummy. My favorite part it’s easy and fast. Always a winner in my book with those two aspects. Glad you like. I could eat this all the time so delicious. 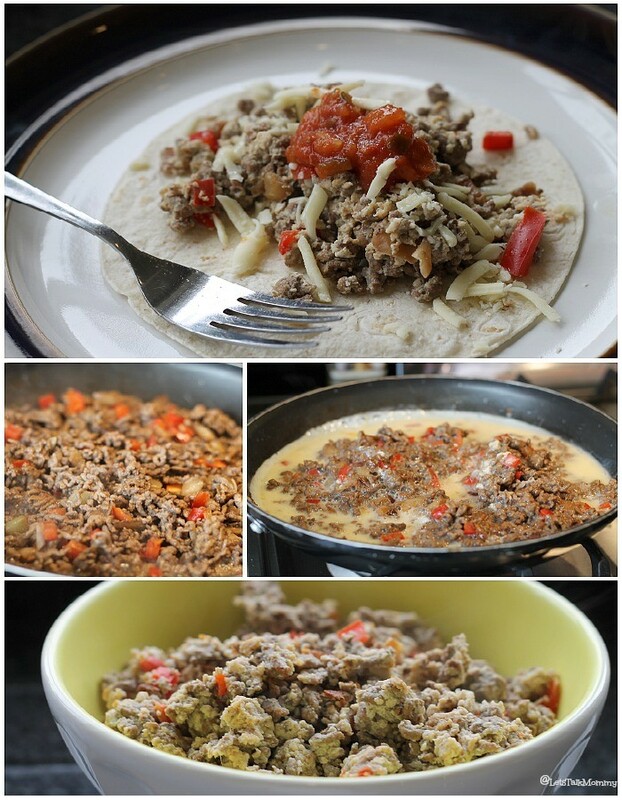 Or use sausage for a breakfast burrito. Nice recipe Jennie! This looks so delicious. I think this will be a great recipe for busy mothers. Thanks for sharing this. Yes it would. I love easy and fast and let’s not forget cheap too. I am far too busy to be whipping out gourmet meals but I still love to do fun family recipes that my whole family will love to chomp on. Hope you like it. Yes you could. It’s so versatile and you can change things in and out of it. Or even add beans if you like. That’s the beauty of most of my recipes. Change to your liking.